These are pure indulgence. Perfect. Usually I struggle to follow a recipe exactly – spotting gaps to tweak ingredients and instructions here and there in an attempt to improve it. And in so doing make it my own. However with this recipe I couldn’t find a single adjustment I wanted to make. 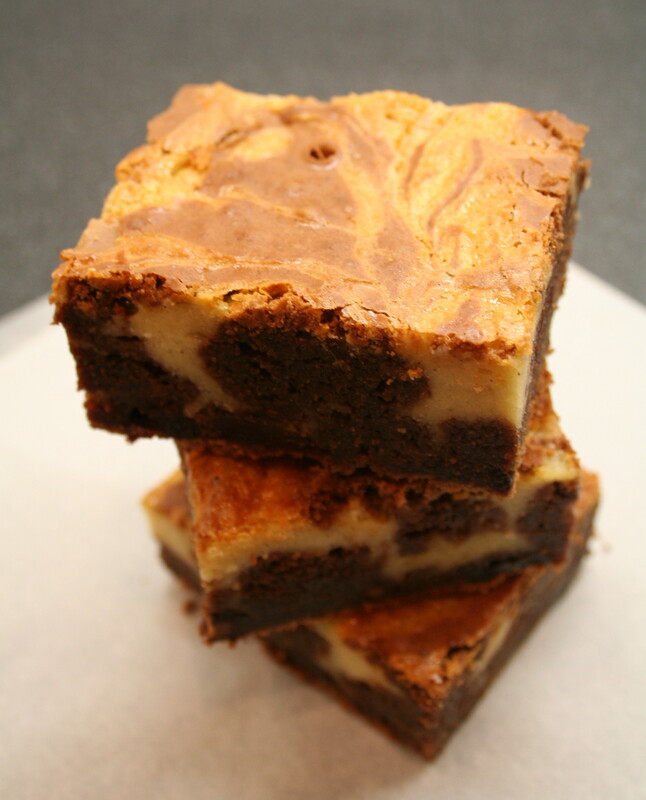 It sounds like a mouthful, but what could possibly be taken away from, or added to swirling, gooey, chocolate-cherry-cheesecake-brownie? The dark richness of the chocolate brownie is perfectly balanced by the fruity cherry and light vanilla cheesecake to produce something wickedly indulgent. The book this recipe comes out of is one of my newest acquisitions. One which was quietly snuck into the cook book shelf a few weeks ago without my other half noticing. I’ve tried not to take it out too much in the hope that he wouldn’t notice this, or the other two new acquisitions, but I’ve been somewhat unsuccessful. The Outsider Tart’s Baked in America by David Lesniak and David Muniz has lived on the couch for the last few weeks and I have spent most evenings thumbing the pages, soaking up the delectable ideas and arranging them in an order of what to bake first. Perhaps this weekend I’ll resist the urge to bake another delight out of the book and get my other half to take me to the boutique Outsider Tart bake shop in Chiswick, West London. Preheat the oven to 180°C (160°C for fan oven) and line a 30cm x 23cm x 5cm pan with baking parchment. 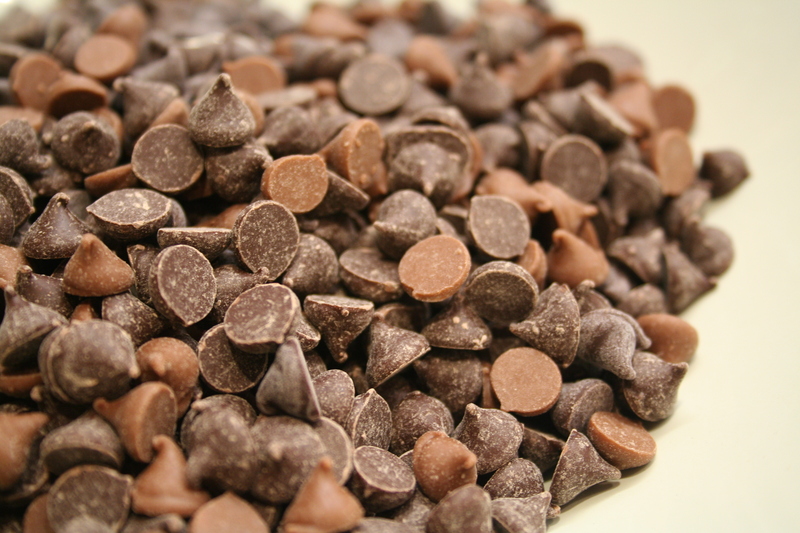 Place the chocolate and butter in a heatproof bowl and melt over a pan of simmering water. Whilst this is melting make the cheesecake topping by creaming the butter and cream cheese on a medium speed until light and fluffy. Reduce the speed and slowly add the sugar, eggs, flour and vanilla, blending until just combined – the texture should be smooth and creamy, not frothy. For the chocolate brownie batter whisk the eggs and sugar on a medium speed until slightly thickened.Sift in the flour, baking powder and salt and mix until just combined. 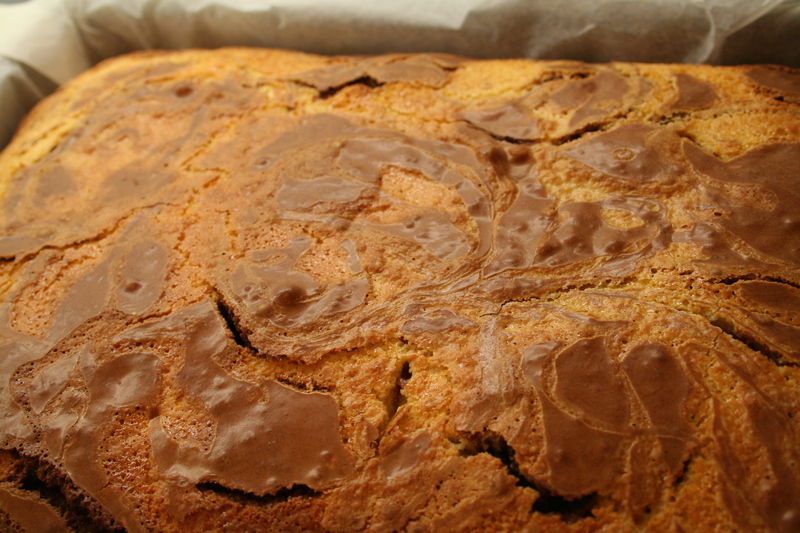 Gently fold in the melted chocolate and kirsch/vanilla and almond extracts. Spread half the chocolate batter into the prepared pan and smooth out with a spatula. Evenly sprinkle the cherries over the batter. Pour the cheesecake topping over the cherries – ensuring it is evenly distributed. 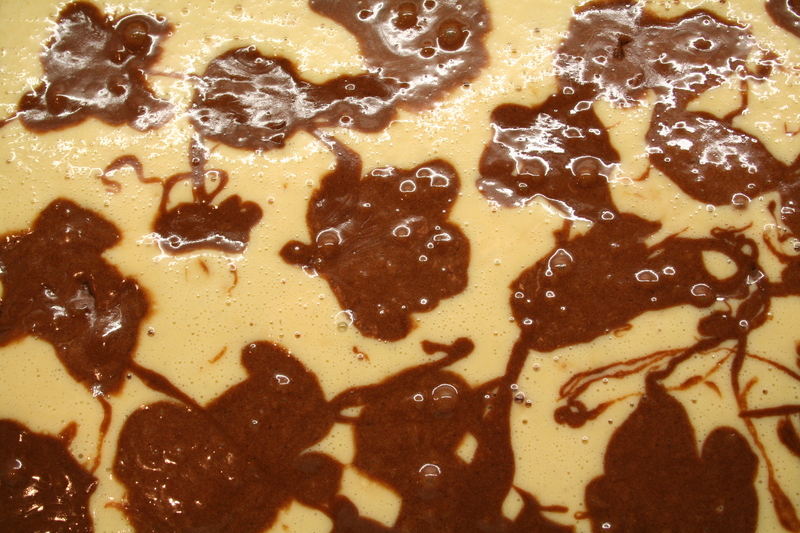 Using a tablespoon drop the remaining chocolate batter over the cheesecake mixture. 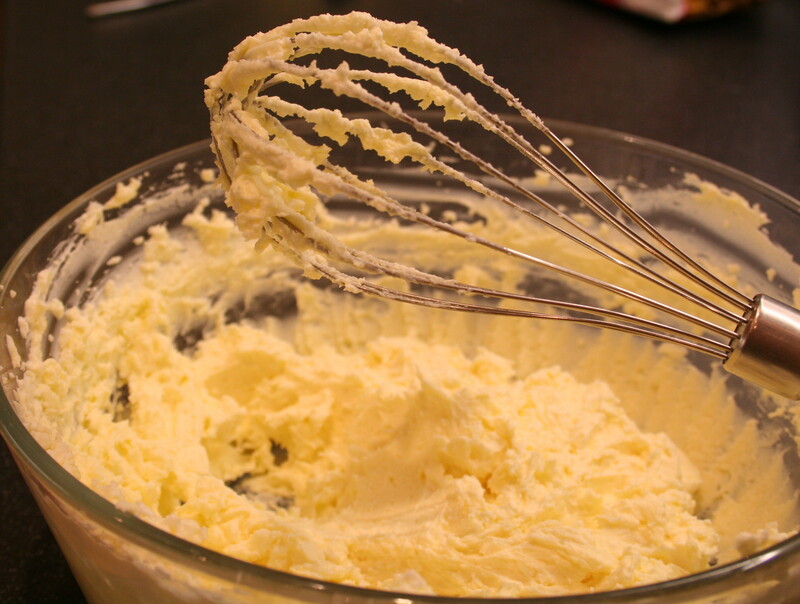 With a knife, gently swirl the batter and topping together. It’s fine if the cherries get dislodged. 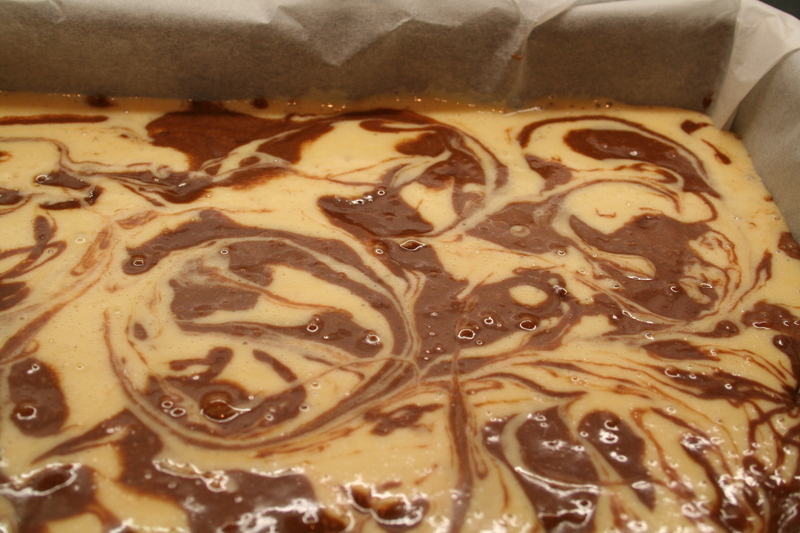 Oddly enough, less swirling will deliver a bolder marbled effect. Bake for 30-35 minutes, or until the topping is slightly puffy and just starting to brown. A small knife inserted into the centre should emerge sort of clean – any streaks on the knife should look set as opposed to uncooked. Let cool completely before chilling in the fridge for about 4 hours but preferably overnight. Cut into 5cm squares. I couldn’t wait overnight to taste it – and although delicious when freshly out of the oven, this brownie is definitely better the next day. 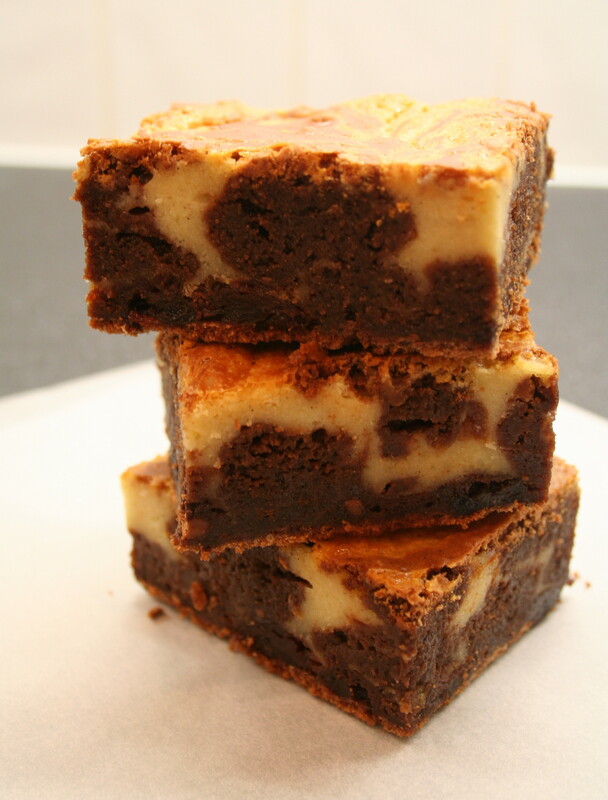 This entry was posted on Thursday, October 13th, 2011 at 21:44	and tagged with brownie; cheesecake; chocolate, cherry and posted in brownie, cheesecake, chocolate. You can follow any responses to this entry through the RSS 2.0 feed. Hope that when you come to the hot Karoo in December we are going to be treated to all of this blog’s recipes! Still love the photography, layout and writing!